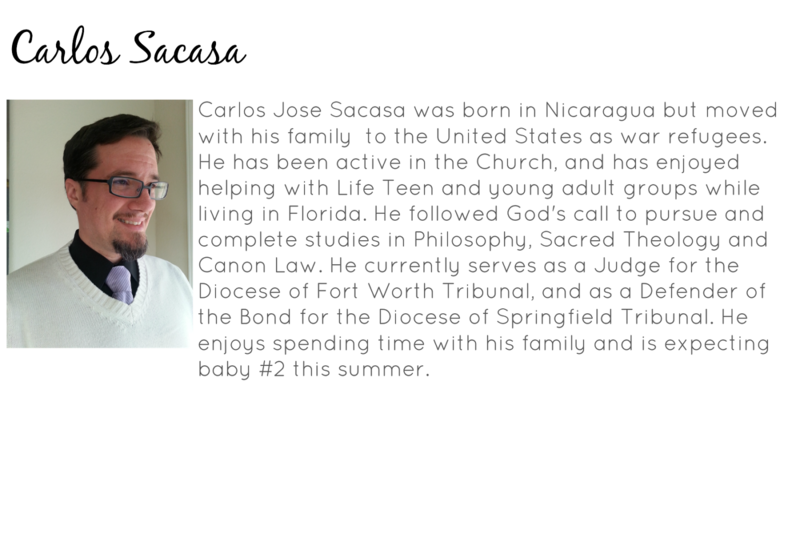 A colleague was once asked to comment on the following statement: it is easier for a man to kill someone and return to the sacraments than for a man to divorce, remarry and return to the sacraments. After all, a murderer need only go to confession to be readmitted into full communion, while a divorced and remarried person must go through a lengthy annulment process. Why does the Church punish those who make the simple mistake of marrying the wrong person? There is of course a flaw already in the question. We forget that marriage is a sacrament, and putting its existence into question, therefore, is very serious business. Whereas sin—even mortal—has the remedy of the confessional and the sacrament that occurs therein, the existence of which we don't normally question, marriage and divorce have sacramental consequences, which touch on the Church's very nature as Church. Why has she recognized marriage as a sacrament? As a canonist, I don't deal with sin, but with the sacraments. The Church (on instruction from Christ—see Mt 19:4-9), sees marriage for what it is: oriented towards the good of the spouses in its openness to ward children (and their education), faithfulness, and perpetuity. Interestingly, these characteristics and elements have up to this point in human history existed in most natural marriages as well—pointing toward marriage being true to human nature, not just something tacked on. But there is something supernatural about marriage as well, which is why the Church has elevated it to the level of sacrament between two baptized spouses. Of course there is also the matter of free will; the sacrament doesn't just happen to two people without their prerogative. Broadly speaking, free will is what allows man to do what is right, and do that, hopefully, within an understanding of the Church and her teachings. Every choice has an effect; we always live with those effects. With regards to marriage, the spouses should receive good formation and marriage prep; this is unfortunately not always the case, which is one of the many reasons the annulment process exists. 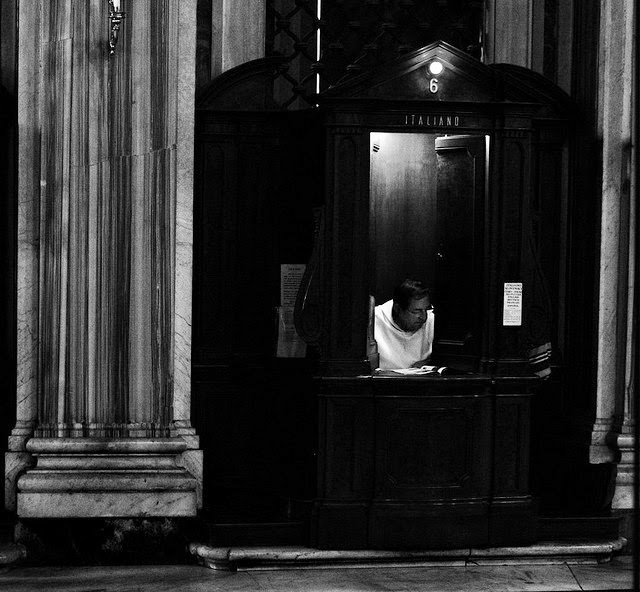 scottmontreal's "Confessional #6, Basilica di Santa Maria Maggiore, Roma" is licensed under CC 2.0. The starting point of every trial, is, so to speak, that a marriage is innocent until proven guilty, or canonically put, that the Church presumes every marriage valid until proven otherwise. The persons of the couple are not on trial, but the marriage is—this is why the marriage itself gets a lawyer, what is called the defender of the bond. The trial is not about the current desires or emotions of the parties, but the reality of the marriage: were the vows made with full consent and free will? Did each of the persons have a simple understanding of marriage (i.e., those characteristics listed above)? Were there lies, deception, and/or fraud involved? The list goes on. There really are no simple mistakes when it comes to marriage, as its sacramental consequences reverberates in the lives not just of the couple, but also of the Church herself—this is why she takes each case so seriously and defends the bond with such vigor. The heart of both unity and free will is at stake here. St. Paul warns his brethren to receive the Eucharist worthily; this warning is echoed for marriage. Marriage requires serious discernment of the parties; the sacrament is a lifelong commitment that begins with a vow—a handing oneself over wholly, body and soul, to another person. A murderer has committed a sin—a very grave one at that—but he has not put the existence of a sacrament into question. This is what applying for an annulment does, which is one way the Church demonstrates her justice ad mercy. She safeguards the bond which no man can sunder.